After twenty years of collecting on the Ashcan School artists and their circle, Ratner felt the need to support the artists of today. In 2008, or so, he attended a Sotheby's preview of important American paintings. There he came across two paintings by Gary Ernest Smith of western agrarian scenes that floored him. When he later learned of Smith's comment that "art is a way of addressing humanity," it heightened his interest in Smith and other western painters who had a humane response to their environment. Ratner has been an avid fan and collector of the works of Erin Hanson for several years. We are proud for her works to be included in this coming show and in the material regarding the collection. A Feeling of Humanity is the result of Ratner’s focused collecting of contemporary western artists. His collection features thirty-seven artists and sixty-three works of art. The exhibit will open Friday, September 16, at the Museum of the Big Bend, with an opening reception from 6-8 pm. All are welcome to attend. On Saturday, September 17, Ratner will speak about his collecting practices and his collection. 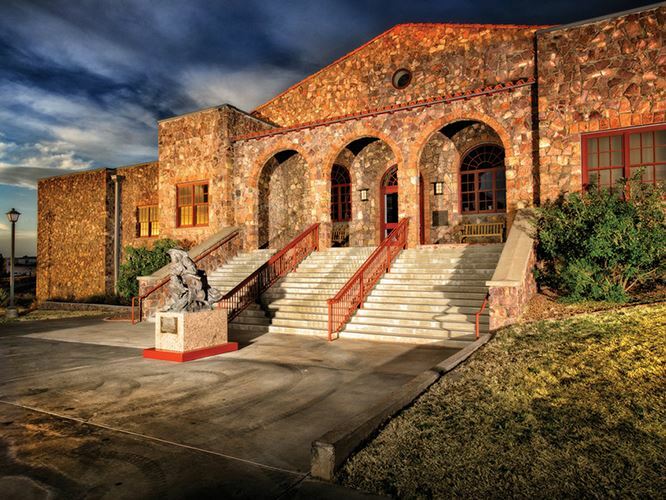 That same day, the museum will host the third annual Heritage Dinner, honoring those who’ve made significant contributions to the Big Bend country and the Museum of the Big Bend.